Fish for your dinner in one of our rental boats and clean your catch on the dock. Go crabbing in a kayak or just admire the sunset in the Strathmere bay with a friend in one of our double kayaks. We are happy to provide our customers with charts for fishing & boating, as well as tips for the best spot to throw in a line. No boating license is required to rent a boat or kayak! Please check back frequently to see if we're running a High Tide Kayak Tour - it's a great experience for the family or your group while on vacation. As of May 2013, we are the owners of Frank's Boat Rentals. 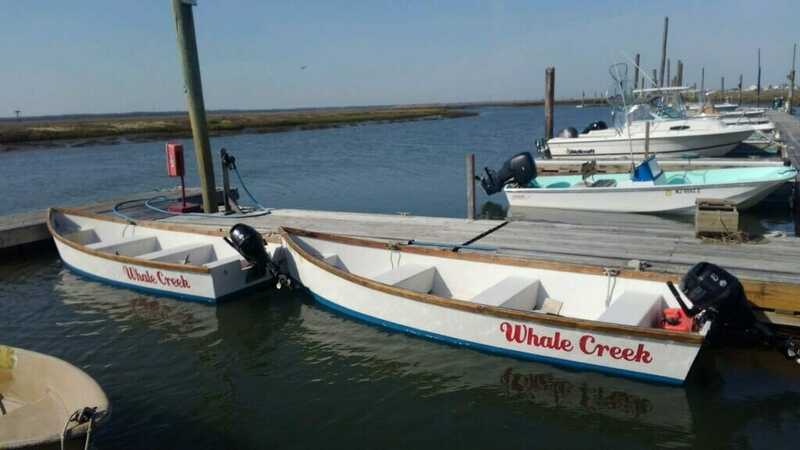 We have moved his rentals boats down to Whale Creek, but the friendliness and commitment to service you know won't change. Call us at 609-263-6093 to reserve a boat! 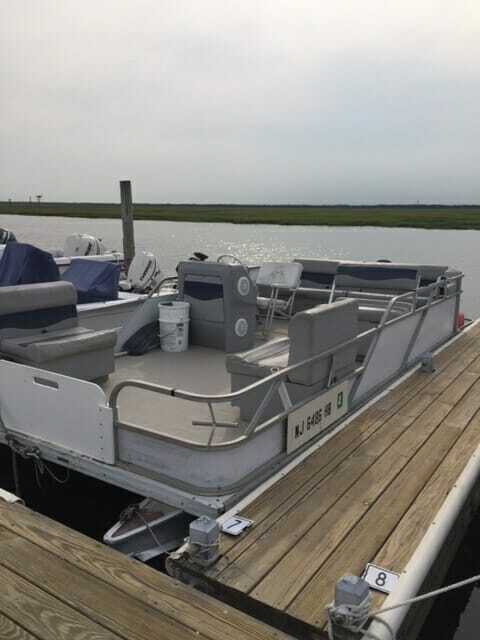 Rent our well-equipped pontoon boat for a wonderful day on the water - easy to drive and big enough for the whole group. 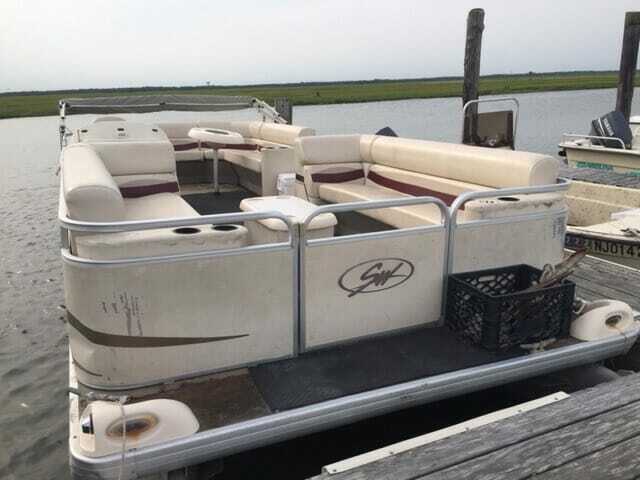 Call us at 609-263-6093 to reserve this boat! Come and try this exciting sport at one of the most beautiful locations in South Jersey. Our brand new rental boards are perfect for beginner and intermediate riders who want to cruise around in the back waterways. Before you take off on your adventure we will discuss which route you should take based on the tide and wind conditions. If you’re in the mood for a chilled out, relaxing paddle we even offer a pick-up service so you never have to go against the tide! We highly recommend that you reserve a board in advance, and call us ahead of time to check the conditions. All SUPs due back by 5:00. 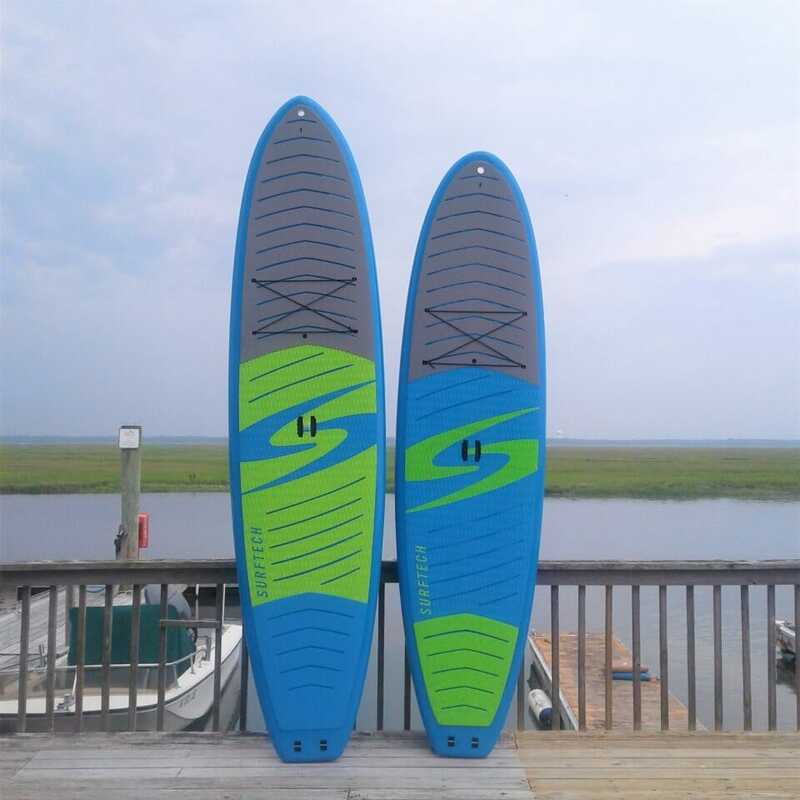 Call us at 609-263-6093 to reserve a stand up paddleboard! Click here to learn more about our guided tours. 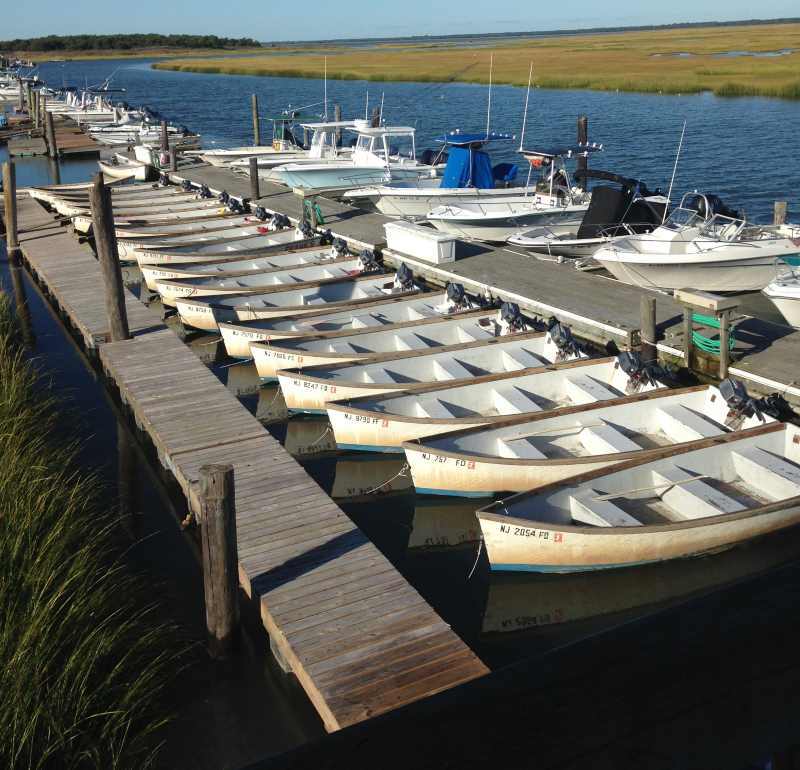 Enjoy the beautiful back bays of Strathmere from Ludlam's Bay to Corson's Inlet in one of our "Ocean" brand Kayaks. In our stable, easy to paddle sit-on-top kayaks experience the natural wonder of tidal waters. All boats due back by 4:30. 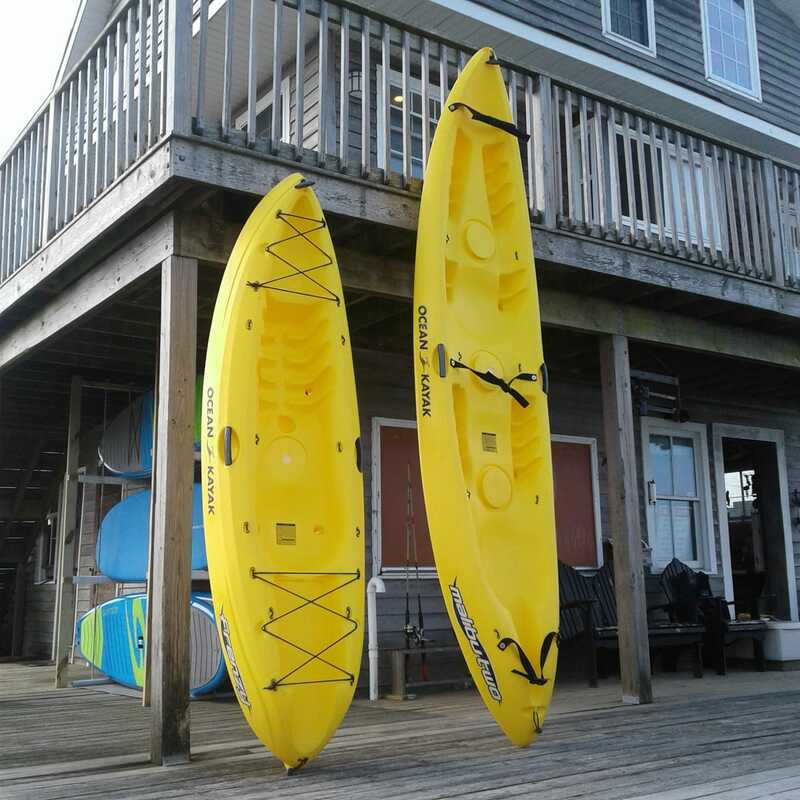 Call us at 609-263-6093 to reserve a kayak! njoy the beautiful back bays of Strathmere from Ludlam's Bay to Corson's Inlet in one of our "Ocean" brand Kayaks. In our stable, easy to paddle sit-on-top kayaks experience the natural wonder of tidal waters.